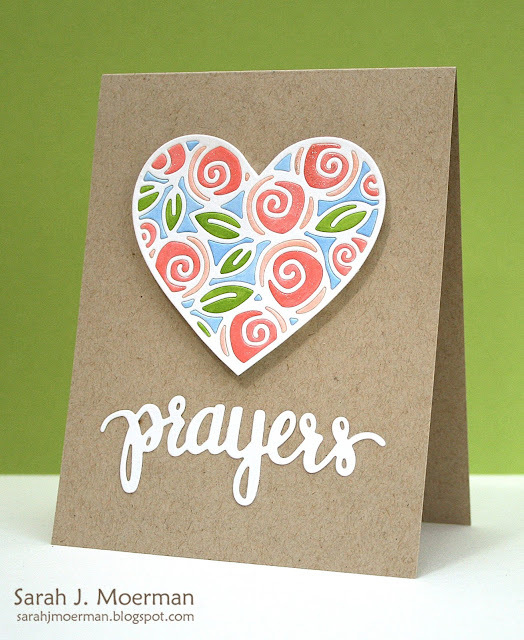 I'm popping by to share a clean and simple card I made to let someone know I'm praying for them and to announce the winner of the Simon Says Stamp January 2017 Card Kit. 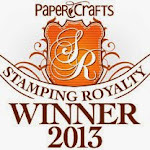 Congrats Lynne! 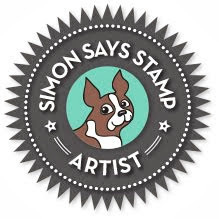 Please message me via the contact me button on my side bar with your mailing address so I can pass it on to the wonderful folks at Simon Says Stamp. 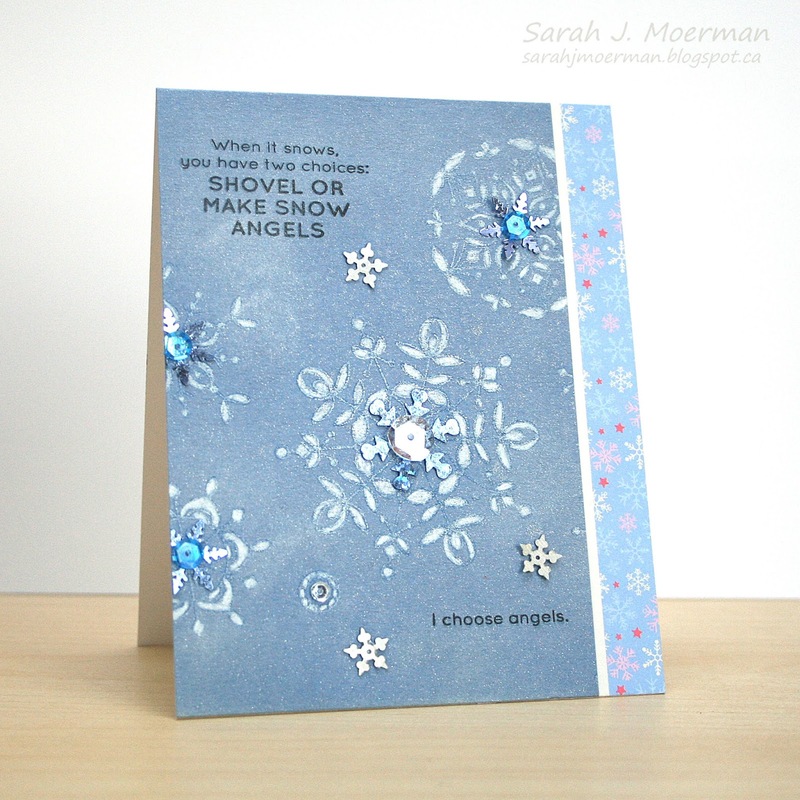 Here's the card I'm sharing today, my last for the year. 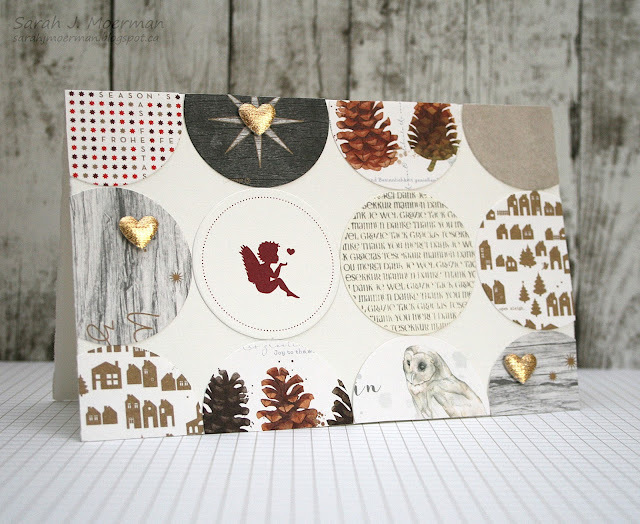 My prayer is that you'll all have a wonderful new year! 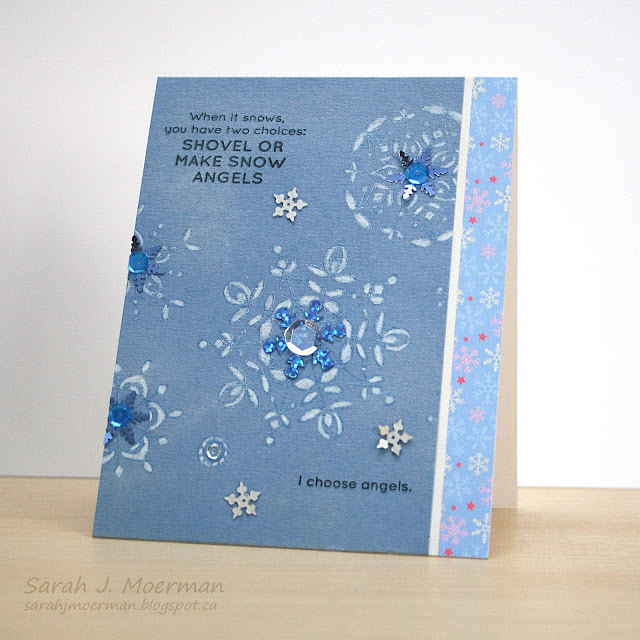 Simon Says Stamp Snow Angels Card (& GIVEAWAY)! I hope you had a special Christmas celebrating the birth of our Lord and Saviour! 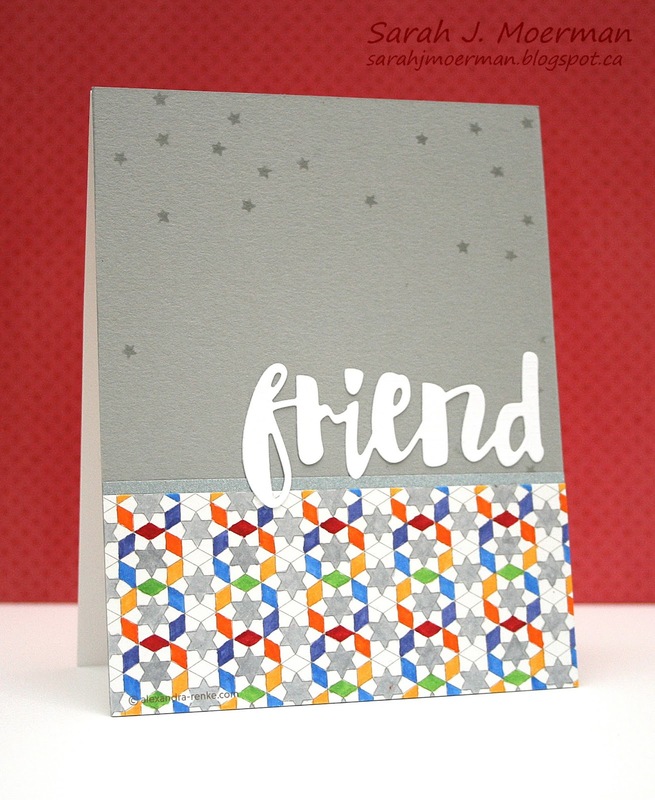 I'm stopping by today to share a final card featuring the beautiful Simon Says Stamp January 2017 Card Kit. I stamped the snowflakes with Simon's Blue Jay Dye Ink and then again with Tsukineko Delicata White Shimmer Ink on Simon's new Cornflower Blue Cardstock before colouring them with a Prismacolor White Colored Pencil. 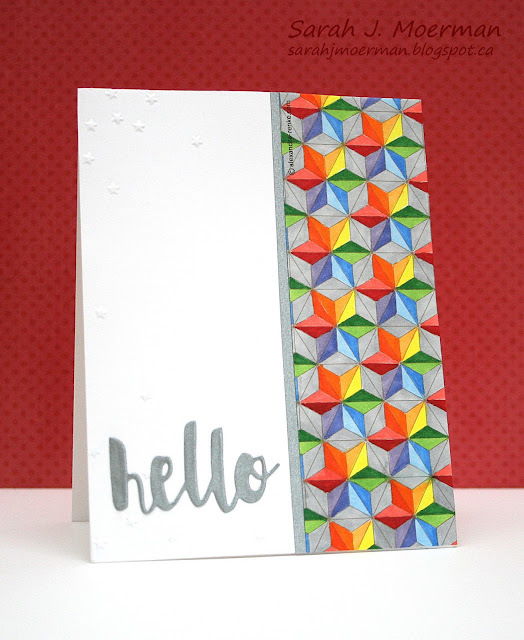 I then sprayed the panel with Tsukineko Large Sparkle Sheer Shimmer Spritz. Once dry, I added some of Simon's Frozen Fractals Sequins and stamped the sentiment with Versafine Onyx Black Ink Pad. Finally I added a strip of the patterned paper to the right side of the card. If you're interested, you can pick up the Simon Says Stamp January 2017 Card Kit for just $29.95 + shipping. If you'd like to receive this kit and future kits for only $24.95 + shipping per month, you can SUBSCRIBE HERE. 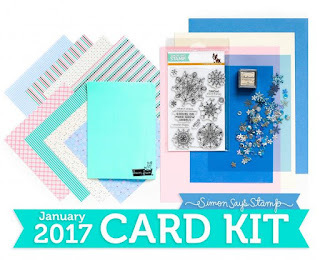 Heidi, owner of Simon Says Stamp, has given me an extra January 2017 Card Kit to pass on to one of you! 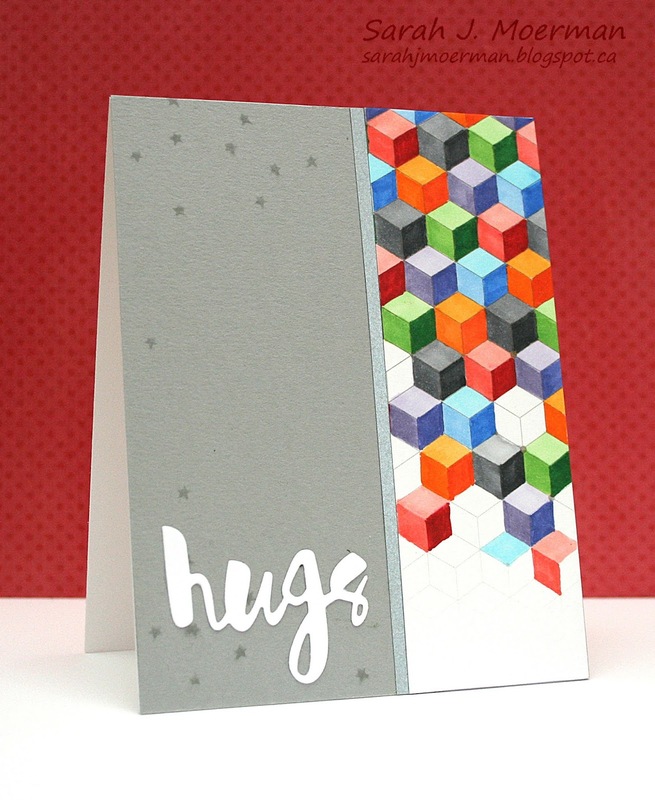 Just leave a comment on any or all of my January Card Kit posts and I'll announce a winner Wednesday December 28th. Today I'm participating in the Alexandra Renke Kreativ-Projekt Nr.2 Advent Blog Hop. 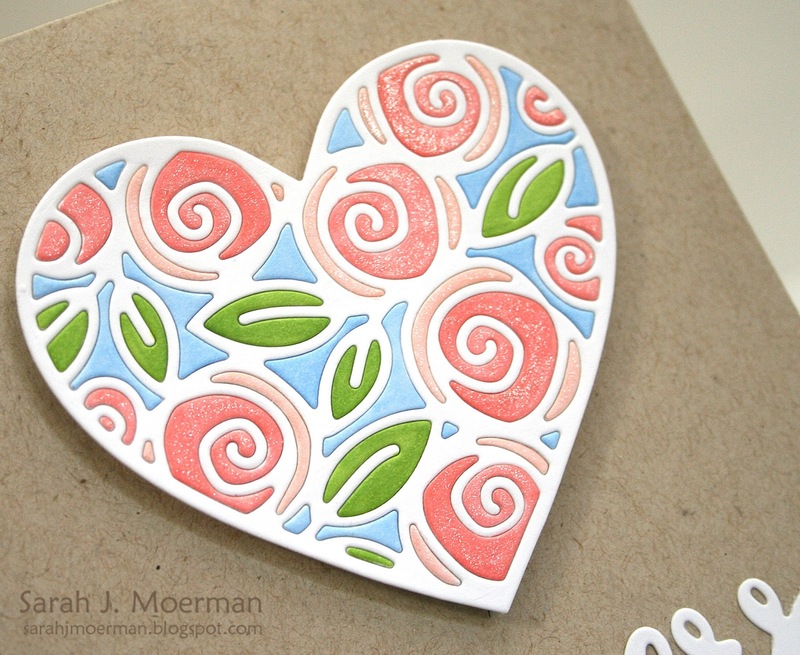 I was sent a beautiful box of goodies to play with all the way from Alexandra Renke in Germany. 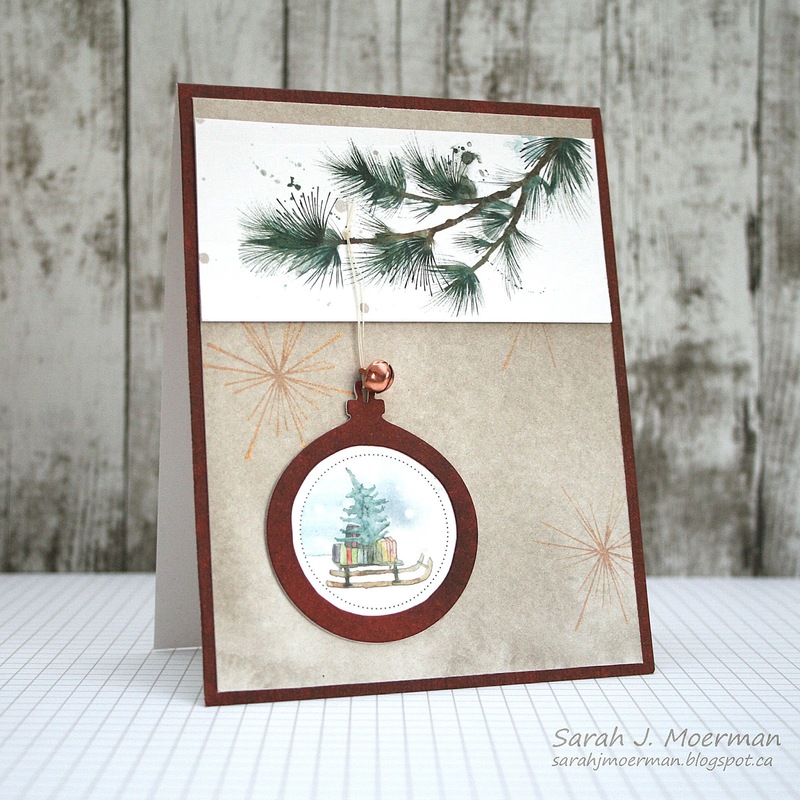 Inside were a couple of stamps, a beautiful ornament die, embossing folder, stencil, a few embellishments, some gorgeous panels, papers, and envelopes. The idea behind the hop was to create something for someone as a thank you. First, I created a couple of individual cards to go with my gift since I hadn't decided yet if I was going to give it as a Christmas gift or thank you gift. 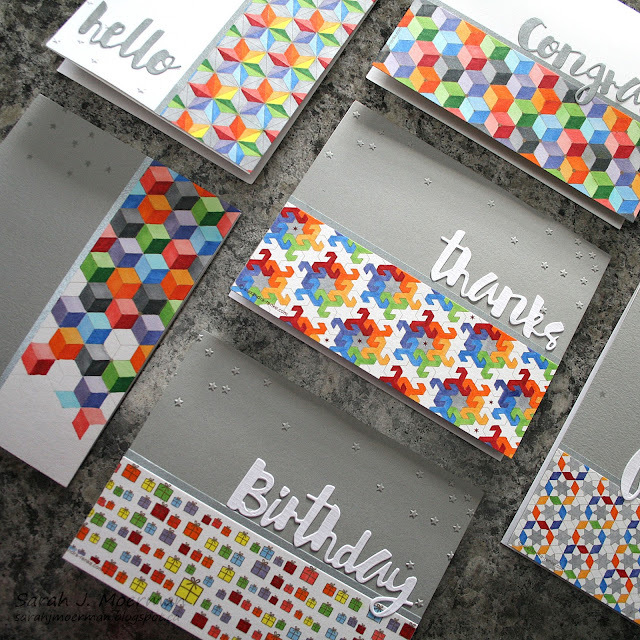 For my thank you gift I created a card set using some of the panels I was sent. 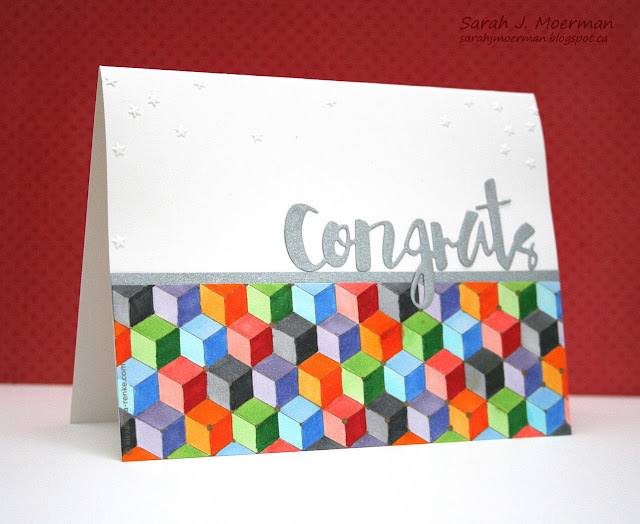 There were so many beautiful panels with gorgeous watercoloured images on them but there were also some with fun geometric shapes. I decided to colour these with Copic Markers before adding them to cards which I gave to my kids' wonderful piano teacher. 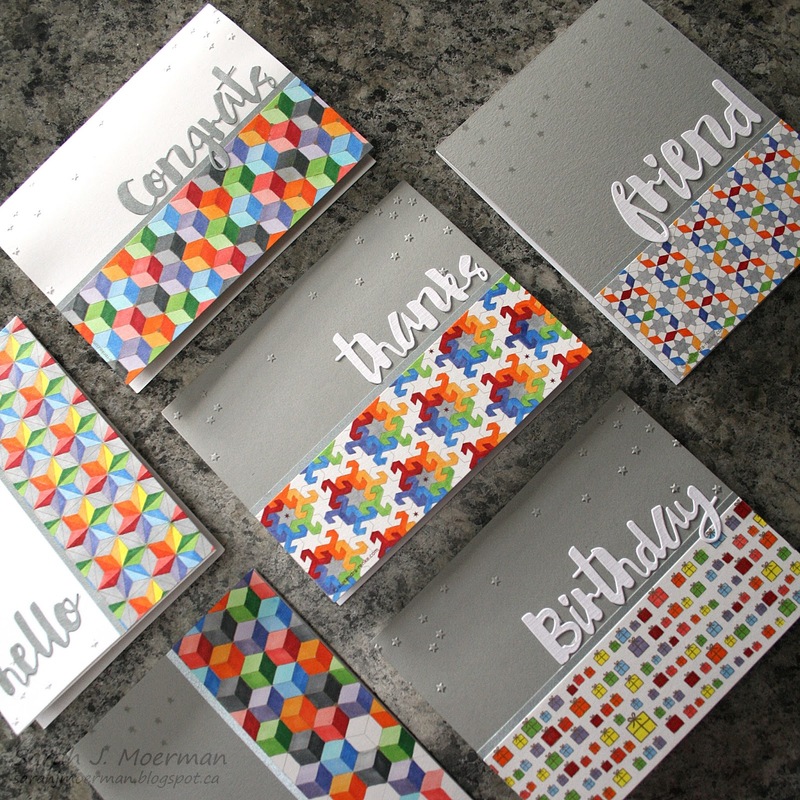 These cards also made use of the star stencil and star embossing folder that came in my parcel, as well as an included silver envelope which I cut strips from and placed next to the coloured panels. Thanks for stopping by! 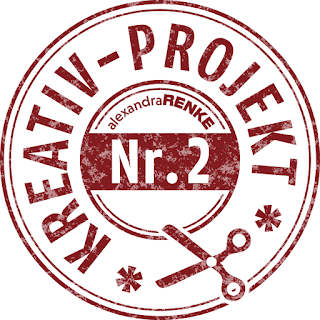 Be sure to check out the rest of the projects made for the Alexandra Renke Kreativ-Projekt Nr.2 Advent Blog Hop as well as the Alexandra Renke online shop. 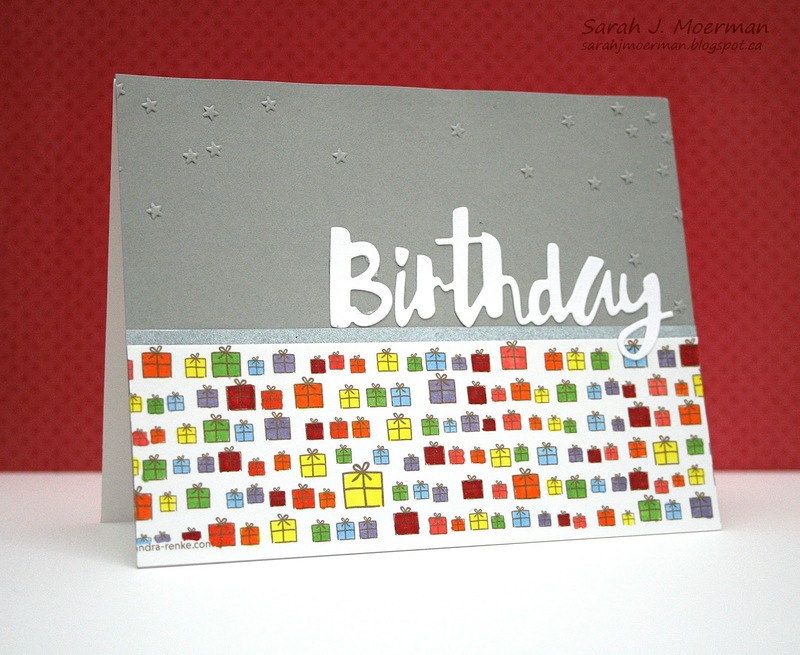 I'm back to share another card featuring the fun Simon Says Stamp January 2017 Card Kit. We have quite a bit of snow around here and it's beautiful! I love having a white Christmas. 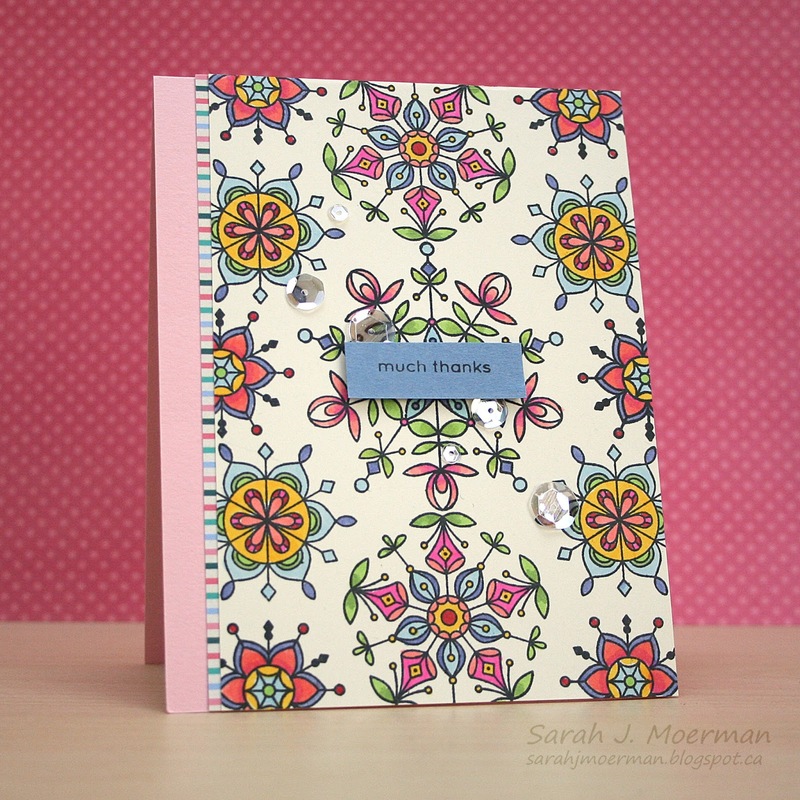 Unfortunately it's also freezing cold so I decided to let my imagination take me to warmer days and tranformed the snowflakes from the Frozen Fractals Stamp Set into a floral patterned background. 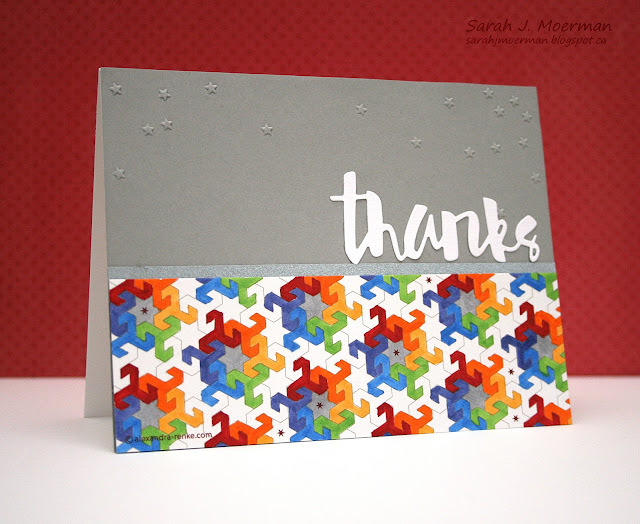 I also stamped the 'snow much thanks' stamp without inking up the 'snow' part and only used the cupped sequins instead of the snowflakes ones from the kit. Simon Says Stamp Hey Love Release!